Let’s face it, everyone could use a little extra maintenance help with their bicycle. Right? Well, tomorrow night you’ll get the chance to learn simple and basic tips on keeping your ride always ready to go! 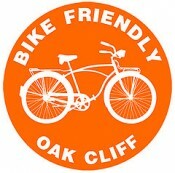 Jeremy Ordaz, owner of Oak Cliff Bicycle Company, will be on hand Wednesday, April 10th at Alta West Davis from 7:30 – 8:30 PM for a free, monthly workshop. Tips you may learn include changing a tire, knowing what tools to own, fixing your chain, adjusting your brakes, etc. These workshops will take place every second Wednesday of the month either in Alta West Davis’ bicycle repair room or at Oak Cliff Bicycle Company. If you’re planning on attending tomorrow, please rsvp here!